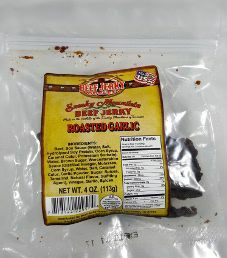 The next review for BJO Smoky Mountain will focus on a 4 ounce/113 gram bag of their prime rib flavored beef jerky. 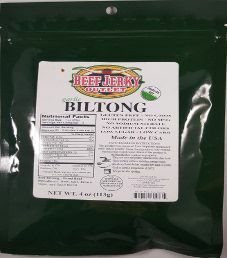 This bag was purchased in Tinton Falls, New Jersey, at the Jersey Shore Premium Outlets, where there is a Tinton Falls Beef Jerky Outlet store. 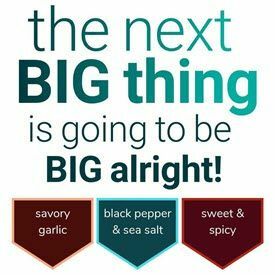 The next review for BJO Smoky Mountain will focus on a 4 ounce/113 gram bag of their garlic flavored 100% grass-fed beef biltong. 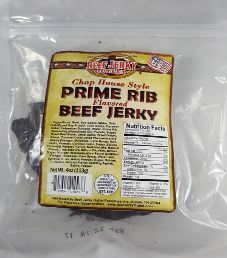 This bag was purchased in Tinton Falls, New Jersey, at the Jersey Shore Premium Outlets, where there is a Tinton Falls Beef Jerky Outlet store. As an added bonus, you can sample all of the many flavors in their store.